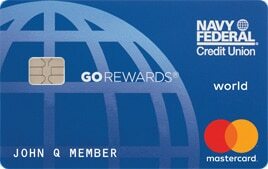 The Navy Federal Credit Union GO REWARDS® Credit Card is a rewards-earning credit card with no annual fee. With a relatively low APR and a solid rewards program redeemable for cash back, award travel, merchandise, it’s a great choice for folks seeking a greater variety of credit card rewards. With accelerated earnings on restaurant spending and gas station purchases, it’s comparable to popular credit cards such as BankAmericard Cash Rewards Credit Card and Blue Cash Everyday Card from American Express. However, NFCU GO Rewards Credit Card comes with an important caveat: it’s reserved for members of the U.S. Armed Forces, civilian Department of Defense employees, and their immediate family members (including spouses and children). It’s not available to members of the general public. If you’re not keen on joining the military, haven’t served in the past, and don’t know anyone who is or has, you need to look for another rewards credit card. Those who do meet NFCU’s qualifications can expect an above-average credit card experience with GO Rewards. With almost no fees, a solid introductory balance transfer promotion, and a nice fringe benefit lineup for Visa Signature cardholders, NFCU GO Rewards Credit Card is worth considering alongside better-known options. Let’s dive a little deeper into what you can expect from this card. Navy Federal Credit Union GO Rewards Credit Card earns 3 points per $1 spent at restaurants, 2 points per $1 spent at gas stations, and 1 point per $1 spent everywhere else. There are no caps or restrictions on the total number of points you can earn. Points can be redeemed for a variety of items, including cash back via statement credits or direct deposits, gift cards to major retailers such as Amazon and Target, travel purchases made through a proprietary booking portal, merchandise (including new electronics), and special experiences such as spa treatments. The minimum redemption threshold is 1,000 points, though certain items require more points. Points are generally worth $0.007 to $0.01 apiece, but this value can vary slightly depending on the redemption option. For example, points can be worth less when redeemed for merchandise or experiences. Points expire four years after they’re earned, so it’s important for occasional users to redeem them periodically. This card has no annual fee, foreign transaction fee, or balance transfer fee. 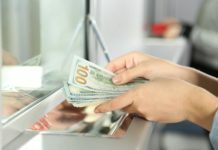 Cash advances are free as well, though you must pay $0.50 per cash advance at domestic ATMs outside NFCU’s network and $1 per cash advance at international ATMs outside NFCU’s network. Late and returned payments cost up to $20. If you have adequate income and very good to excellent credit, you may be entitled to a Visa Signature version of this card. NFCU GO Rewards Visa Signature cards boast credit limits of at least $5,000 plus some valuable fringe benefits, such as complimentary loss and damage protection on rental cars charged in full to the card, automatic fraud monitoring with real-time notifications, and cell phone damage protection. NFCU GO Rewards Credit Card includes additional cardholder-friendly perks. The best include moderate to deep discounts on purchases at popular Visa partner merchants, such as Calvin Klein and other apparel vendors, cultural institutions like the Metropolitan Museum of Art in New York City, and travel companies such as Gray Line Tours (a favorite urban sightseeing choice for international tourists). NFCU GO Rewards Credit Card requires good to excellent credit. If your credit history includes any notable blemishes, you may have difficulty qualifying. No Annual Fee. NFCU GO Rewards Credit Card has no annual fee, which is great news for low-spending cardholders who wouldn’t earn rewards fast enough to offset any recurring levy. Few Additional Fees. The nonexistent annual fee is just the start. 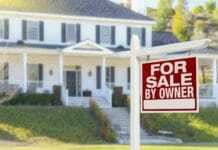 There’s also no balance transfer fee, foreign transaction fee, or cash advance fee (in most cases). If you pay your bill on time, in full, and don’t take cash advances at non-NFCU ATMs, it’s possible to never pay a cent in fees. Earning Rates Up to 3X. NFCU GO Rewards Credit Card earns up to 3X points (3 points per $1 spent) at restaurants. At the card’s average redemption rate, that’s equivalent to a return on spending of 2.5% – better than most cash back cards. Doesn’t Require Excellent Credit. This card doesn’t require excellent credit. If you have a blemish or two on your credit report, you won’t necessarily be disqualified from consideration. That’s a nice point of distinction between GO Rewards and premium cash back rewards cards such as Blue Cash Preferred Card from American Express. Great Balance Transfer Promotion. When paired with the nonexistent balance transfer fee, NFCU GO Rewards Credit Card’s 12-month, 2.99% APR balance transfer deal is an attractive prospect for new cardholders struggling with high-interest credit card balances elsewhere. No Sign-up Bonus. NFCU GO Rewards Credit Card lacks a sign-up bonus, which is a major bummer for new cardholders looking to boost their rewards earnings right out of the gate. Many comparable cash back and travel rewards credit cards have sign-up bonuses worth $100, $150, or even more. For instance, Chase Freedom Unlimited‘s sign-up bonus is worth up to $600 when fully utilized – though “fully utilized” here means spending $20,000 in purchases in the first year of cardmembership. If a sign-up bonus is an important factor, keep looking before you settle on this product. Mediocre Baseline Earning Rate. This card’s baseline rewards rate is just 1 point per $1 spent. Given that points are typically worth less than $0.01 at redemption, this equates to a return on spending of around 1.00%. That’s far lower than comparable rewards cards such as Citi Double Cash Card (2.00% return on spending) and Capital One Quicksilver Cash Rewards Card (1.5% return on spending). Points Expire After 4 Years. GO Rewards points expire 4 years after they’re earned. If you only use this card occasionally and go long stretches without redeeming your points (or even checking your point balance), this can corrode your earnings over time. Most competing cards keep points valid indefinitely. Points Worth Less Than $0.01 Apiece at Redemption. GO Rewards points are generally worth less than $0.01 apiece at redemption. That makes them less valuable than cash back points earned on the NFCU cashRewards Credit Card (and other cash back cards, such as Chase Freedom and Chase Freedom Unlimited), dampening this card’s overall rewards-earning rate. Not Available to the General Public. NFCU GO Rewards Credit Card has a final, crucial catch: it’s not available to members of the general public. You can only get your hands on this card if you’re a current or former member of the Armed Forces, a civilian employee of the Department of Defense, or an immediate family member of someone who meets either criteria. This is a big drawback relative to general-purpose cash back cards such as Discover it, which are open to anyone with a sufficiently high credit score and adequate income. Though you don’t have to have a U.S. Navy service record to qualify for membership with Naval Federal Credit Union, you do have to have some record of service in the Armed Forces, a civilian position at the Department of Defense, or close family ties to someone who meets either criterion. Unfortunately, this means that most people don’t qualify for NFCU membership. After accounting for current and former members of the military, current Department of Defense employees, and their immediate family members, perhaps 10 million people (out of 330 million Americans, give or take) are technically eligible for NFCU membership. Fortunately, NFCU isn’t the only game in town for federal government employees and military families seeking low interest rates and friendly service. Virginia-based State Department Federal Credit Union (SDFCU) was originally designed to give State Department employees a place to park their money and take out low-interest loans, but it has since loosened its eligibility requirements so that anyone can join. If you’re not a State Department employee, just make a $15 one-time donation to a worthy charity and you’re in for life. So, if NFCU isn’t right for you, there’s always SDFCU. NFCU GO Rewards Credit Card is ideal for frugal consumers who devote substantial shares of their household budgets to restaurant and gas spending. Because it has no annual fee, it’s also a useful secondary card to be used only for spending in those two categories. By the same token, it’s not a great general-purpose credit card, as its baseline earning rate is disappointing. Benefits include extremely low or nonexistent fees, solid rewards rate on gas and restaurant purchases, somewhat permissive underwriting requirements, and fringe benefits. Major drawbacks include the lack of a sign-up bonus, the fact that points expire 4 years after they’re earned, the mediocre rewards rate, the exclusivity (military and DoD only), and the disappointing redemption value of points. Overall, the Navy Federal Credit Union GO REWARDS® Credit Card is a strong choice for qualifying (military, DoD, and their families) cardholders who spend heavily at restaurants and gas stations, or can afford to use this as a secondary card for such purchases.